Many families are happy where they live but would like to maximise the space availble by building a two storey extension. 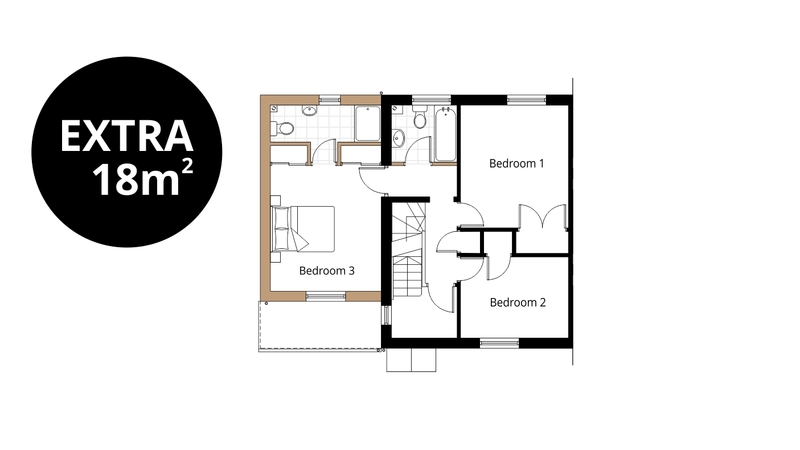 Whether its a master bedroom for yourself, a dressing area or even creating more rooms for the family. We’ll be happy to help you look at the possibilities to make the most of the space and overcome any planning and construction issues. Have you considered a two storey extension? If you are not thinking of moving house then it maybe worth considering extending your home to its full potential. 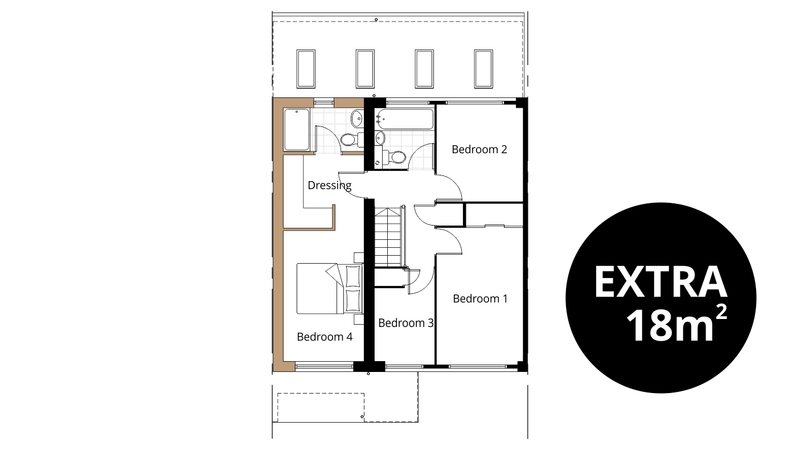 Our most common two extensions involve building a further bedroom with ensuite and dressing at first floor whilst downstairs creating larger family spaces for all the family. You may already have thought about a two storey extension but unsure what can be achieved. This is perfectly normal, so contact us to arrange a consultation visit at your property where we will be happy to see whether our services can help. Our consultation visit is a friendly chat to discuss your thoughts and ideas about the two storey extension in relation to the existing property. We will listen and take notes so we can clearly understand your requirements and discuss in detail the processes involved to gain the necessary permissions, plus answer any questions you may have. After every consultation, you will receive a fee letter that outlines our services which include the design stages involved, timescales and fees so you are clear from the outset what is required in order to achieve a two storey extension. 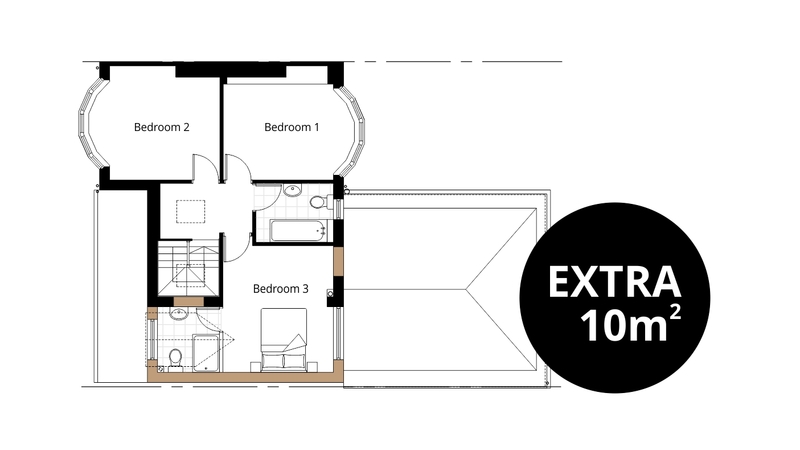 Adding 10m2 upstairs with a two storey extension can a spacious master bedroom with an en-suite and dressing area plus with a few alterations with the walls, creates a large family bathroom for the other bedrooms. Adding 16m2 upstairs with a two storey extension adds a generous master bedroom built over a new garage, along with its own en-suite and dressing area. Further alterations at first floor included a new family bathroom and en-suite to the guests bedroom. 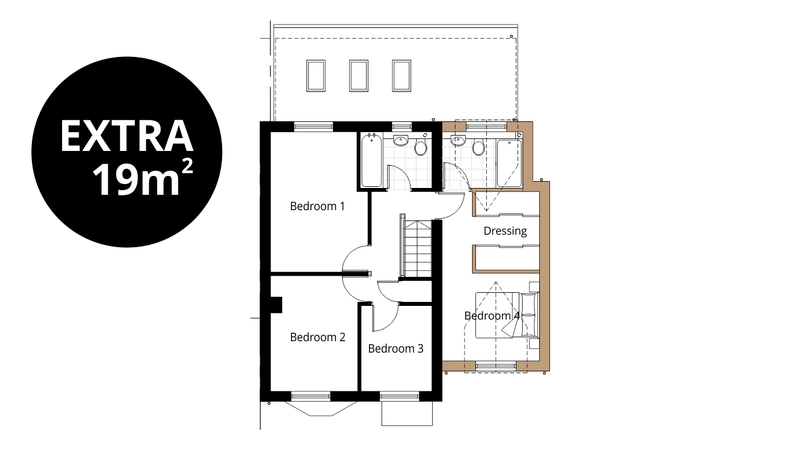 Adding 18m2 upstairs with a two storey extension along the side of the house can create a master bedroom with en-suite and dressing area. 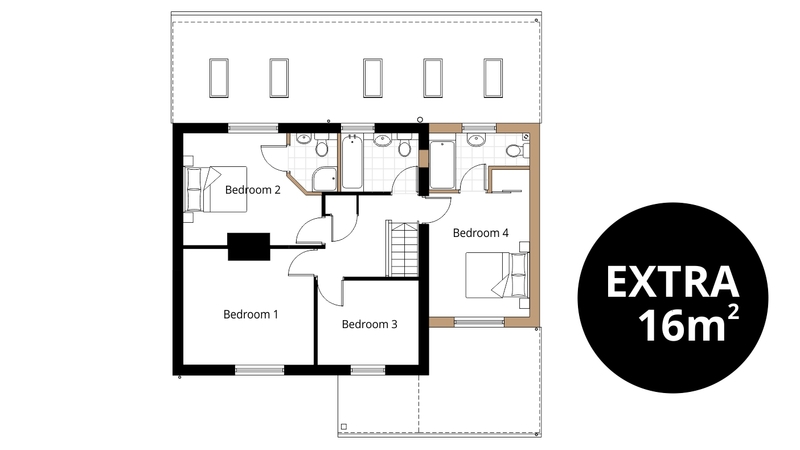 Adding 18m2 of floorspace upstairs creates a two extension with a large master bedroom, new en-suite and dressing area. Adding 19m2 of first floor space with a two storey extension, creates a large master bedroom on top of the existing garage along with a new en-suite and dressing area.